LOS ANGELES, CA (April 1, 2019) – BOOM! 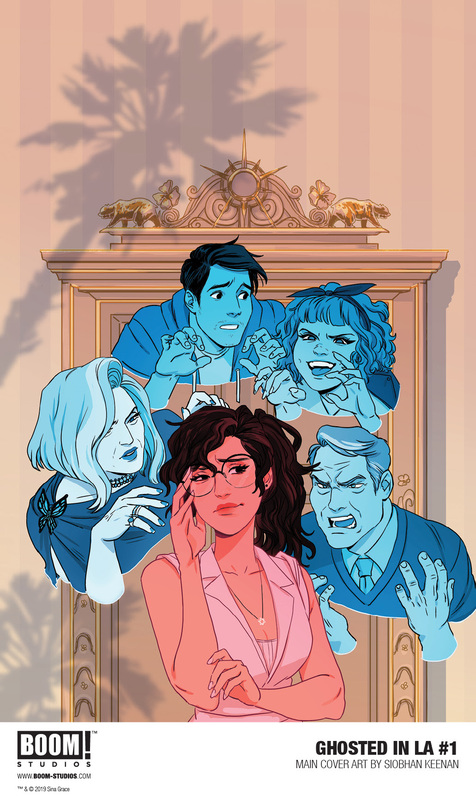 Studios announced GHOSTED IN LA, a brand new comic book series from GLAAD Media Award-nominated writer Sina Grace (Iceman) and artist Siobhan Keenan (Jem and the Holograms). From this incredible team comes a story about figuring out your love life - and your afterlife - in Hollywood, available July 2019. Daphne Walters moved to Los Angeles following the love of her life...or so she thought. Rudely awakened from her happily-ever-after, she finds herself suddenly both out of a place to live and without a reason for being thousands of miles from home. In the midst of her heartbreak, she makes her way to Rycroft Manor, a derelict apartment complex that isn’t as abandoned as it seemed. It turns out that the Manor isn’t just packed with mid-century charm . . . it’s also teeming with lovesick ghosts! Daphne might need to crash on this haunted couch for a while, but having supernatural roommates might be more than she bargained for. Sina Grace is a writer and artist living in Los Angeles, CA who has earned prestigious nominations for both the GLAAD Media Awards and the PRISM Awards. He is best known for his slice-of-life memoirs at Image Comics, including Self-Obsessed and Nothing Lasts Forever; the landmark reimagining of Jughead's Time Police at Archie Comics; and the critically-acclaimed Iceman series at Marvel Entertainment. Grace has illustrated variant covers for BOOM! Studios’ Mighty Morphin Power Rangers, as well as both writing & illustrating one of the comic book stories celebrating the 25th anniversary of the pop culture phenomenon in 2018. Grace will also be a co-writer for Saban’s Go Go Power Rangers, starting with issue #21 in July 2019. "I cannot stress how truly, utterly, unbelievably excited I am for GHOSTED IN LA. 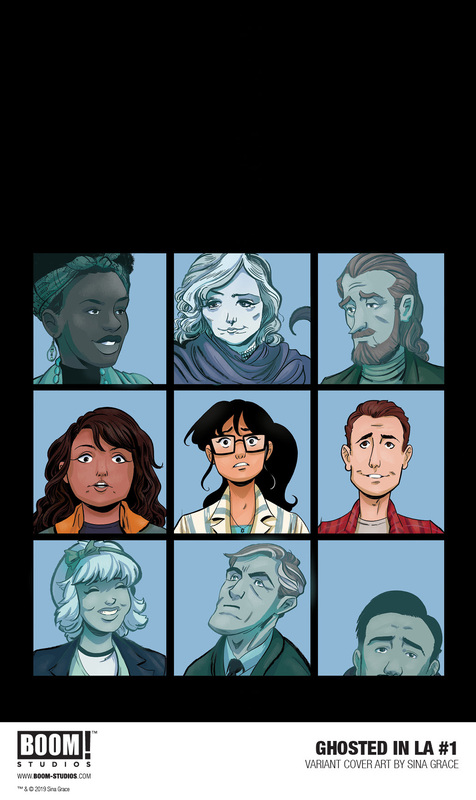 Shannon Watters is an editor who I've dreamt of world-building with, and Siobhan Keenan was the first person I thought of when considering artists to bring Daphne Walters and her spectral roommates to (un)life,” said Sina Grace, writer. “This project is an absolute dream come true. I get to mix humor, the macabre, pop culture, and provide a fresh perspective on my hometown with one of my favorite comic artists . . . the ghosts of Rycroft Manor may reside in West L.A., but me? I'm in heaven." "GHOSTED IN LA is a dream to work on, having helped design a full cast of endearing characters!” said artist, Siobhan Keenan. “Drawing Sina’s writing, which has so much humor and heart, is an absolute treat for me. And I'm so excited to be working with BOOM! Studios on a project based in LA, a city I adore!"